I volunteer at my local library a few days a week and, naturally, I sniffed around for their graphic novel section when I first arrived. I had not been to a public library since I was in high school and I didn’t know what I expected to find. There were the usual suspects, such as a few copies of Alan Moore and Dave Gibbons’ classic “Watchmen” (as well as current titles such as the “Before Watchmen” miniseries collections), Scott McCloud’s informative “Understanding Comics”, and various superhero books. 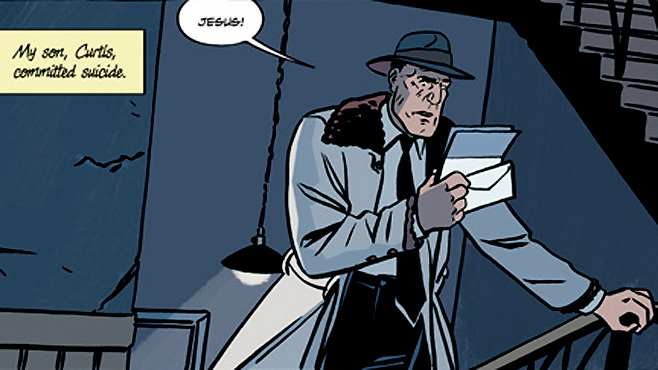 There were even two volumes of Mike Mignola’s “Hellboy” among the slim pickings of graphic novels. However, there were rows upon rows of manga. I was perplexed that, among the superhero books they possessed, there were random trades of multi-volume stories (such as the second and third volumes of “Knightfall”, but not the first), which would leave a reader confused if they wanted to digest an entire saga or simply a done in one story. The library probably obtained most of these books from donations, but also purchased the popular and safe picks of Batman, Spider-Man, and other assorted icons. There are many established books that are well-known and considered essential for any collection but, if it was up to me, there would be various books sprinkled among the library’s bunch that aren’t particularly well-known (and sometimes off the beaten path) to the mainstream population and that can be read without having any prior history of anything else that came before them. There are so many books besides the usual suspects (such as Frank Miller’s classic “The Dark Knight Returns”) that have been released more recently that can open up the minds of people dismissive of the comic book art form and all its infinite possible genres and ways of telling a story. There is a great opportunity for the library to open the general public’s mind to the myriad genres, besides superheroes, that comic books work within. Many books can’t even be categorized simply or easily. Although there are plenty of classics in the superhero genre, there are books in every art style, genre, and topic that can satisfy every individual’s tastes. The books I would choose to bestow upon the library would be accessible one and done graphic novels, yet demonstrate the versatility and craft of the medium. Superhero yarns, personal stories, crime tales, horror, and more (including books that are a stew of two or more genres in one story) permeate the comic book pantheons of yesterday and today. Of course, there are many books in the canon of comic books that are considered classics that must be a part of any library. “The Dark Knight Returns”, along with “Watchmen”, make up two of the greatest and most influential graphic novels of the last thirty years. Many Batman-related titles belong on shelves, such as Grant Morrison and Dave McKean’s “Batman: Arkham Asylum: A Serious House On Serious Earth”, Alan Moore and Brian Bolland’s “Batman: The Killing Joke”, and Jeph Loeb and Tim Sale’s “Batman: The Long Halloween.” Art Spiegelman’s “Maus” and Kurt Busiek and Brent Anderson’s “Astro City” are also mentioned as modern classics. Works by classic creators such as writer/artist Will Eisner, writer/artist Jack Kirby, and a myriad list of other writers and artists from the beginning of the comics medium to the ones of today belong on every library shelf. Now, however, I’ll be discussing five works of more recent times that deserve a place next to the classics of yesterday. My first pick would be a superhero story, but one that defies genre and description. “Batwoman: Elegy”, written by the talented Greg Rucka and with art by the phenomenal J.H. Williams III, belongs on every bookshelf. 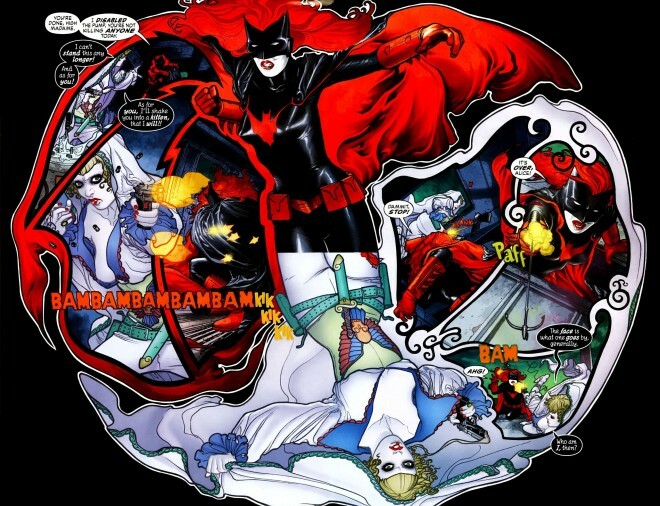 It tells the tale of a young woman named Kate kane who is inspired by Batman to become Batwoman after she’s discharged by the American military for their now-defunct “don’t ask, don’t tell” policy against gays and lesbians. Kane, throughout this story defy’s what is expected of her, deals with family drama, and somehow involves “Alice in Wonderland” (which I won’t ruin for the reader of this essay). Plus there’s a touch of horror and the macabre to spice up the book as well. This title demonstrates that superhero stories can have versatility, heart, and imagination. The marriage of great story and great art in “Elegy” is evidence that the superhero story can be a thing of beauty. Horror has been a popular genre in film and literature for many years. One writer who excels at this genre is Scott Snyder. With co-writer Scott Tuft and artist Attila Futaki, Snyder has crafted a psychologically frightening tale in “Severed” that will give you nightmares (or at least make you think twice about trusting strangers). What gives the book a really nice touch is that it forgoes the predictable scares and gratuitous gore of mainstream horror in favor of intelligent writing and beautifully painted artwork. The story involves a runaway boy during the early twentieth century and the horrific experiences he encounters on his way to finding a father he has never met before. Horror and heart go together expertly and this book defies expectations. This seems to be a running theme throughout all my picks for essential books. 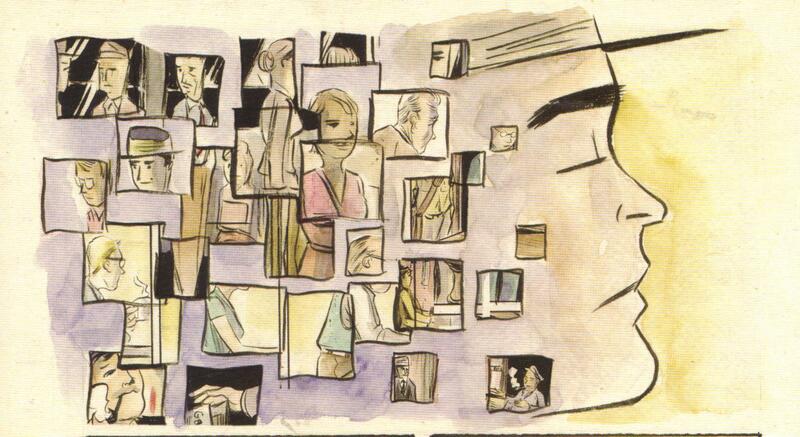 A book that truly defies description is writer/artist Matt Kindt’s most recent graphic novel, “Red Handed.” It’s the story of a detective who always gets his perp, yet who is beginning to be troubled by existential conversations he has with a particular “criminal” that delve deep into the meaning of criminality and wrongdoing. This masterpiece has many layers that will definitely convert any man or woman that dismisses comic books as disposable or beneath mention alongside “real” literature. 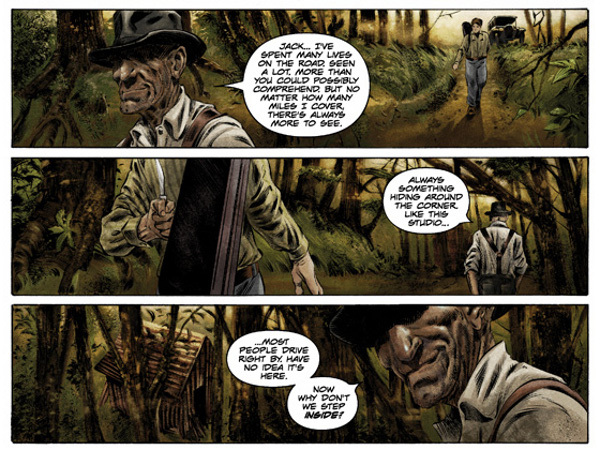 Kindt, rightly so, has said in interviews that many of his works demand multiple readings. This one in particular will demand close readings throughout a lifetime. He utilizes many storytelling techniques and art styles that surprise and delight and will leave any discerning reader pondering and re-evaluating the way they think or see things around them. That’s the hallmark of any great writer or artist, whether in the “traditional” novel or graphic novel medium. 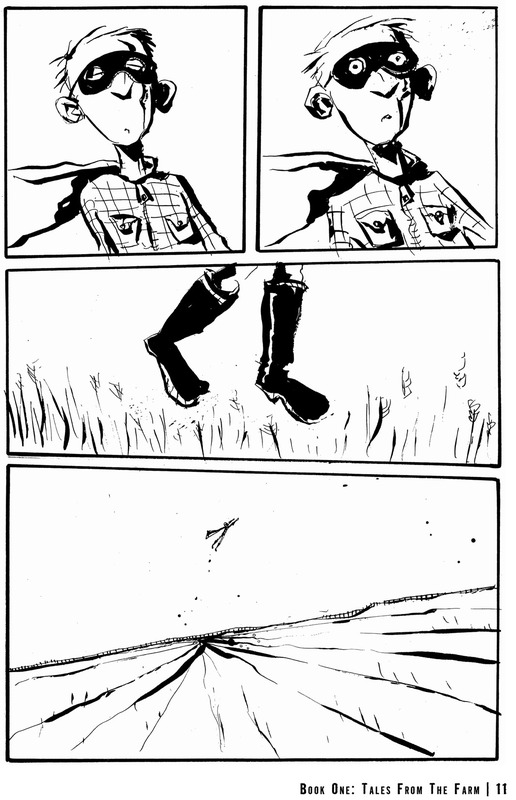 Another writer/artist on my list is Jeff Lemire, who created the masterwork “Essex County.” Like much of his work, Lemire writes very personal stories about individuals and the world around them. They’re grounded in reality and deal with themes of family, identity, and one’s place in the world. “Essex County” is definitely one of those works. This collection is a trilogy of interlocking stories that ends up weaving together into an intricate patchwork of humanity that will have the reader awestruck and moved to tears. Deep emotion permeates “Essex County” and the building of characters’ lives through sparse dialogue and stark black and white artwork only enhances that emotion, which jumps off the page and into the reader’s mind and heart. The fifth and final essential book (if I could only whittle my massive list to five) for the library would be “The Creep.” This mysterious yarn, written by John Arcudi and with art by Jonathan Case, tells the tale of a detective named Oxel (who has a condition that deforms his physical features over time) who takes on a case that involves the mysterious death of his college sweetheart’s son. As the story progresses, the mystery deepens. Arcudi and Case are perfect collaborators because, many times throughout the story, there is more conveyed through art than words. Case’s art is extremely versatile and he utilizes his talent to convey character through that art, such as differing styles in flashbacks and the imaginings of Oxel. This book, like the others listed, conveys the versatility of the comic book art form and the many ways it can be used to create wonders. Each of my five picks are excellent examples of the comic book art form and how there are certain things that only this art form can do compared to other ones. Literature combined with art make a comic book, and to make a great one, both the writer and the artist must work in tandem in order to convey a story that challenges the mind and engages the eye. Creators can work in many genres, whether superhero, crime, horror, or “simply” a personal tale. There are many classics that must be included in any library (public or otherwise), but newer stories like the ones I’ve promoted above as essential deserve to be placed next to ones that already belong in the canon.